The contractor shall perform on-going quality oversight of organization operations including acquisition, contract, and business management support. The contractor shall possess knowledge of quality assurance principles and practices as a function of a Quality Management System (QMS). The contractor shall possess knowledge of the relationship of QA to other activities (e.g., program management, contract administration, technical requirements, etc.). The contractor shall possess knowledge in Industry-accepted quality standards (i.e., International Standards Organization (ISO) 9001 philosophy, regulations, and Industry technical data convention). The contractor shall possess the capability to review requirements, specifications, and documentation to gain a thorough understanding of the programs and processes to be certified. The contractor shall be capable of establishing effective interpersonal relationships, as well as an ability to communicate efficiently, both in writing and orally. The contractor shall possess comprehensive knowledge of the Microsoft Office suite of software (e.g., Word, Excel, PowerPoint, etc.) to create documents, reports, and presentations. The contractor shall perform the assessment, development, implementation, and evaluation of program and process components. The contractor shall develop quality processes that meet user requirements. The contractor shall establish quality goals and engineering approaches which are acquisition phase appropriate, realistic, and feasible in order to meet program cost, schedule, and performance parameters. The contractor shall develop resource-effective quality engineering plans and solutions, as well as innovative approaches to quality process implementation, from the Engineering and Manufacturing Development (EMD) phase to transition into Low-Rate Initial Production (LRIP) and Full-Rate Production (FRP), and within Industry-accepted standards and best public and private sector practices. In addition, the contractor shall create and implement quality plans and checklists to support project goals. The contractor shall perform quality planning, quality control activities, and quality assurance audits and reviews. The contractor shall review and provide comment to contractor quality program plans and documentation, conduct contractor quality audits (as necessary), and assure the delivered product conforms to the contractor’s Technical Data Package (TDP). The contractor shall validate results, report discrepancies, and follow through to ensure that all issues are resolved. The contractor shall provide guidance and instruction to others in performing quality assurance activities (e.g., maintaining quality records, performing quality audits, maintaining quality assurance standards, etc.) in order to meet evolving Industry and Government quality requirements. The contractor shall use approved quality metrics (e.g., process control limits, thresholds, root cause analysis) to evaluate vendor compliance with the requirements and specifications defined in acquisition contracts. The contractor shall coordinate (e.g., preparing and staffing agendas, etc. ), participate in, and document (i.e., meeting minutes) project meetings. The contractor shall coordinate program-related activities with the JBTDS team, multiple Government agencies, user representatives, the JBTDS Prime contractor, and other private sector customers/partners/contractors. The contractor shall coordinate and communicate with DCMA to plan, manage, execute, and monitor the program and the Prime contractor’s hardware and software quality management, control, assurance, and compliance efforts. The contractor shall actively monitor the JBTDS Prime contractor’s quality programs in coordination with DCMA to support QA. The contractor shall participate in JBTDS inspection and testing activities and perform product acceptance. The contractor shall actively participate on Government and contractor configuration control boards, failure review boards, and corrective action activities. The contractor shall review ECPs, determine the appropriate course of action, and submit requests for deviation/waiver. The contractor shall assist in activities related to requirements development and preparation of program documentation, PSpecs, contract SOWs, and contract modifications. The contractor shall assist in managing contractor performance by providing effective and timely input to the Government’s lead Systems Engineer, PM, and COR, with a goal of meeting the Government’s contractual and performance requirements. At CLD, we understand that it takes insightful senior leadership and managers with strong organizational and technical expertise, working with highly motivated teams of professionals to earn the trust of our customers. 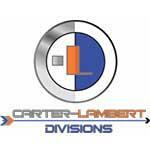 CLD takes great prides in our commitment to both our customers and our employees. CLD's business expertise and support services span a range of solutions, services and geographical locations. CLD’s core capabilities in the areas of information systems security, systems integration & acceptance services, integrated technical services, database management services, and programming services put us in the vanguard of a rapidly changing technological environment.